I believe in Elizabeth Zunon. In fact, if we were at a roulette table right now, I’d gather all my chips and push them forward onto the square labeled “EZ” and let that big wheel spin. 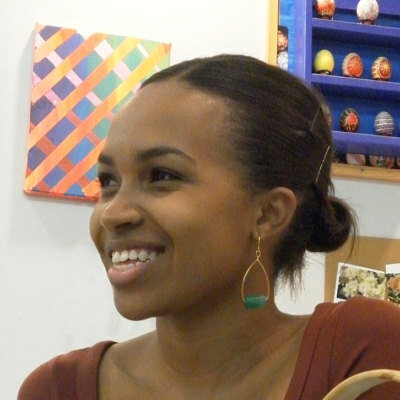 Elizabeth is a sensitive, perceptive artist who is just beginning to scratch the surface of her potential. Come, let’s get to know her better. Did you immediately know that this story by Vaunda Micheaux Nelson was right for you? Yes! 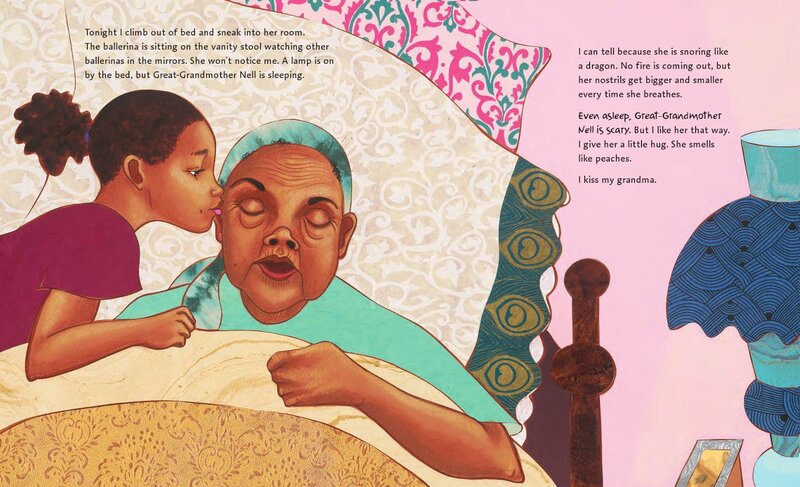 I could immediately picture what Great-Grandmother Nell would look like, and what kind of person she might be, both based on her memories and the fancy, frilly things she had in her bedroom. There are many strong women in my family who have been present all my life, and I’ve amassed some of their jewelry and baubles that I knew would be great reference for creating Great-Grandmother Nell’s world. 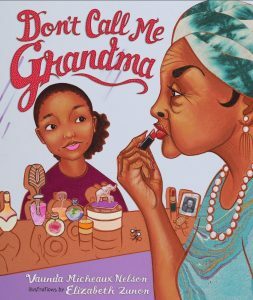 This book is about a young girl’s relationship with her great-grandmother Nell, who is a little scary. She’s not outwardly affectionate. And I see that you dedicated it to “all the strong and powerful ladies” in your life. Were you able to draw upon personal experiences while telling this story through pictures? Maybe not actual personal experiences of being afraid of my own great-grandmother (nor my grandmother and great-aunts, who were all pretty affectionate), but I drew on my experience of having these strong, powerful, independent ladies as role models in my life. I was always enthralled at their stories of “the old days” and I used to love (and still do love) looking at old pictures of them, especially since they are no longer here to share their wisdom. Sure, let’s see how well I can verbalize my process . . . 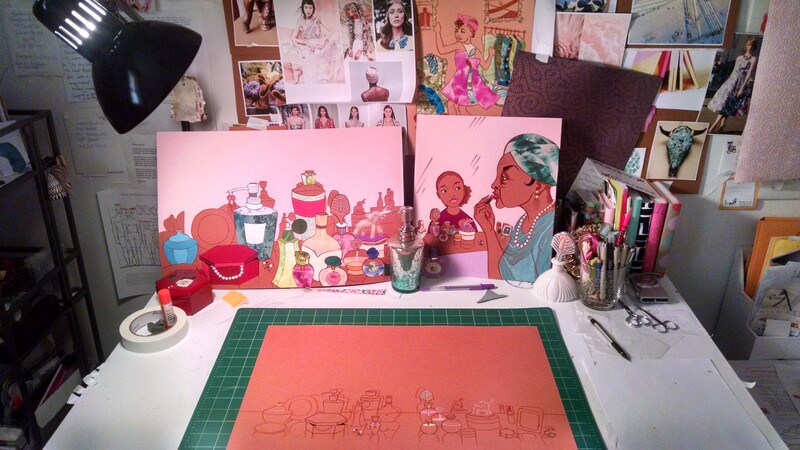 I use my full-size sketches as the basis for my final illustrations. I placed the sketch for this spread onto my light table, and placed a piece of brown Canson paper on top (this paper is the skin color of Great-Grandmother Nell and the little girl). Next, I traced the sketch in pencil onto the brown paper, removed it from the light box, and used a brown brush pen to draw over all of my pencil lines. I used black pen to draw over the eyelashes, eyebrows and nostrils. I added highlights on the faces with pastel colored pencil, and painted the little girl’s hair with acrylic paint. I then traced the rest of the shapes in the image onto tracing paper (the clothing, pillows, bed, lamp, etc.) and rifled through my collection of colored and patterned paper to find the best fit for each item: lacy white paper for the pillowcase, solid magenta for the girl’s shirt, etc. I cut out each of those items in their chosen paper and glued them onto the illustration . . . . It’s a lot of tracing and cutting and gluing! The book gives us a child’s glimpse into the mysteries of the adult world. 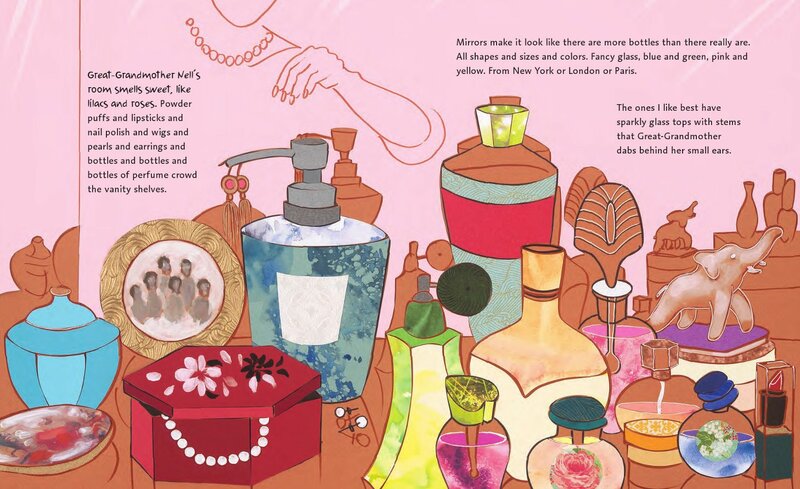 Could you relate to Nell’s fascination with her grandmother’s “special dresser called a vanity”? That scene where she learns how to apply lipstick seems like a rite-of-passage for every young girl. I had a fascination with my grandmother’s dresser, which was not a vanity, but where she kept her jewelry box. She had pretty earrings and many elegant brooches she would wear on her coats and scarves. I don’t recall ever being taught to put on lipstick as a rite-of-passage . . . my equivalent would probably be getting my ears pierced, which I didn’t get done until I was thirteen. I’ve been collecting and making funky earrings ever since! Maybe I’m thinking of my own life, where my sisters taught their little brother how to do it. The way you’d have to pucker the lips inward. There was always something cool about that. But of course you are right, that first ear-piercing is a big moment. Did you go to Crossgates Mall? When the book shifted to the great-grandmother’s memories, you changed your style of illustration and went with a very wet watercolor. Tell us about that decision. That was a suggestion from the Art Director Andrew Karre and Editor Carol Hinz. We needed to show that these memories were not as crisp and real in Nell’s mind as her current day life. I love playing around with watercolor (usually outside when I’m near a body of water) and it was great fun to try to create an actual illustration with watercolor. I imagine that your workspace is just a mess. You are holding scissors –- snip, snap –- surrounded by decorative papers and fabrics. Am I correct? Do you have a photo you can share? Ehhhh, well it’s not a total mess. I try to keep it organized. Big messes stress me out a bit. Thanks for those terrific photos. I see now that are precise, neat, everything is in its place — but sometimes it takes a mess to get you where you need to go. I keep my big pieces of paper in a flat file, and scraps in plastic scrapbooking bins. When I’m collaging (is that a word? 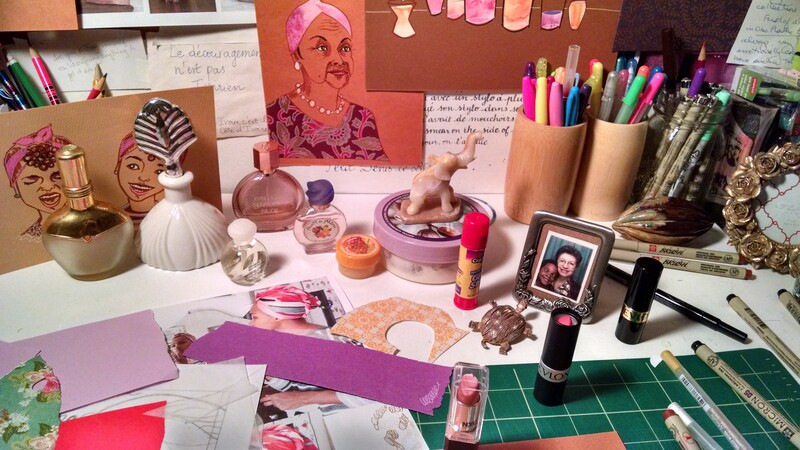 ), my desk is definitely a mess of scraps of colorful paper and scissors of various sizes. If I happen to be working on collage in the living room, forget about keeping it neat. The tiny scraps of paper take over . . . the couch . . . the carpet . . . and I get these little ridges on my right middle finger and thumb from gripping the little nail scissors I use for intricate shapes . . . but that’s all part of the package! Vacuuming those tiny scraps out of the living room carpet once I’ve finished a project is an essential part of keeping my sanity. You were born in Albany, NY (where you now reside), but spent much of your childhood in the Ivory Coast in West Africa. How do you think that influenced your aesthetic? Your sense of beauty? Growing up in the Ivory Coast shaped my color palette and my love of pattern and geometric shapes. I miss living in the tropics! The warm winds, the beautiful mangoes, bananas, flowers, the bright, handmade clothing and everything else displayed at the market that I would pass on my walk to school every day all made a mark in the colors and shapes I use . . . and the palm trees! God, I miss palm trees . . . big fan palms, planted all in a row, lining the roads! Using warm colors and geometric shapes are just a part of me I guess! That nostalgia for my childhood home is a heavy feature in my work. But now in upstate New York you get all those shades of gray. Bet they didn’t have that on the Ivory Coast! Not that I remember. There were gray days of course, but never cold and gray. Warm and gray is easier to take. How did you come to children’s books? Can you identify any favorite books or illustrators? Two of my favorite books as a kid were The Snowy Day written and illustrated by Ezra Jack Keats, and Cherries and Cherry Pits written and illustrated by Vera B. Williams. I took many art classes at Guilderland High School, and at the encouraging of my art teacher Ms. Brown, I applied to the Rhode Island School of Design (and other schools). I got into RISD and just went for it! 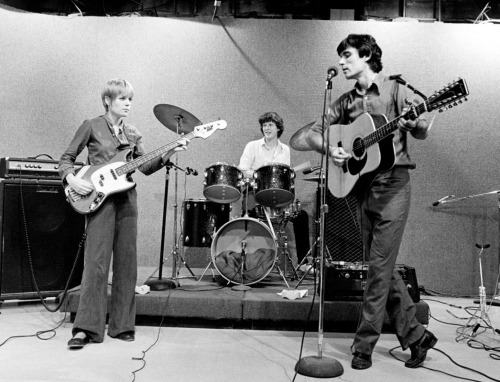 The Talking Heads went there. That’s what I think of when RISD comes up. Yes, they did, haha! Ahhh, art school . . . I decided at the end of my Freshman year there that Illustration was what I wanted to study. I discovered many more illustrators there, including the work of Kadir Nelson which I really admire. I took many children’s book illustration and writing classes, and upon graduating in 2006, moved to Jersey City, NJ, found a day job working in a flower shop in Manhattan, and submitted my art portfolio to book publishers and sent out postcards, hoping to get illustration work. I attended monthly SCBWI meetings and events, and went to an SCBWI conference (I think at the Society of Illustrators?). There, I had a few person-to-person portfolio reviews with editors and agents. Lori Nowicki, agent of Painted Words, saw my portfolio, asked if I’d had any illustration jobs (I hadn’t landed anything yet), and said she knew which publishers my work would fit with. I signed with her and she’s been my agent ever since! A few months later, I lost my job at the flower shop, decided to move back to Albany, and within two weeks, Lori had gotten me my first book contract! That was My Hands Sing the Blues: Romare Bearden’s Childhood Journey written by Jeanne Walker Harvey, published by Marshall Cavendish (now Two Lions Press). I always want illustrators to write their own stories. I know it can be intimidating for some, out of their comfort zone. Do you have any plans to write? Oh yes! I’m working on my first authored and illustrated book right now! It’s called Grandpa Cacao, due to be published by Bloomsbury Books in Spring 2019. I love language and the written word, but the images come to me first. 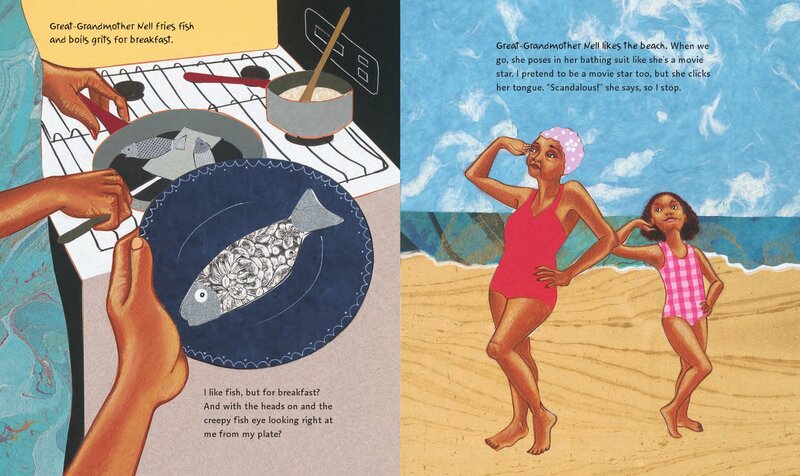 Grandpa Cacao is a picture book about a little girl and her dad baking a chocolate cake while learning about the girl’s grandfather, a cacao farmer in the Ivory Coast who harvests and prepares the cacao before it becomes chocolate. It’s based on my father’s childhood memories of being on my grandfather’s cacao plantation. I’m so glad to hear that. 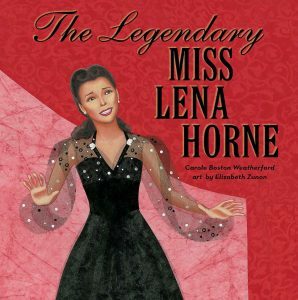 In addition, you have a new book that just came out, written by Carole Boston Weatherford, The Legendary Miss Lena Horne. If you don’t mind, please tell us a little bit about it. It’s the story of African American singer, actress and civil rights leader Lena Horne. She’s probably most known for her movie (and song) “Stormy Weather”, but she had many other successes, including being the first black actress to sign a contract with Metro Goldwyn Mayer film studios. She refused to play stereotypical black roles like maids and mammies in films, and was one of the youngest member of the National Association for the Advancement of Colored People (at age two!). I loved illustrating Lena Horne’s story, especially since I listen to music when I work, and this is the first project where the person I was drawing and painting was the one actually singing to me! Thanks for stopping by Elizabeth, I’m so happy for your much-deserved success. In addition to her career in children’s books, ELIZABETH ZUNON also works part-time for the Albany Bureau of Tourism. No, not really. (Maybe she’s just not a winter person.) Elizabeth keeps a great website and Google’ll get you there. Authors and illustrators previously interviewed in my “5 Questions” series include: Hudson Talbott, Hazel Mitchell, Susan Hood, Matthew McElligott, Jessica Olien, Nancy Castaldo, Aaron Becker, Matthew Cordell, Jeff Newman, Matt Phelan, Lizzy Rockwell, Jeff Mack, London Ladd, John Coy, Bruce Coville, Matt Faulkner, and Susan Verde. Coming soon: Robin Pulver and Susan Wood. To find past interviews, click on the “5 Questions” link on the right sidebar, under CATEGORIES. Or use the “Search” function.